Royal Civil Service Commission (government). In addition to TVET programs offered at the upper secondary education level, the Institute of Zorigchusum Thimphu and Institute of Zorigchusum Tashiyangste vocational training institutes also offer long TVET programs lasting up to six years, in wood carving, painting and tailoring. TVET at the tertiary level is offered through institutions accredited to the Royal University of Bhutan and providers registered with the Department of Occupational Standards. TVET programs can be part-time or full-time and are conducted in a number of colleges and vocational institutes. Most TVET programs last four years and focus on engineering, technology, business administration, and education. Medicine programs last five years. Skills training programs aim to address the immediate human resource requirements in the labor market through skills training. Some of the skills training program initiatives include the Youth Employment Skills, Graduate Skills Program, and the Skills for Employment and Entrepreneur Development Programs. 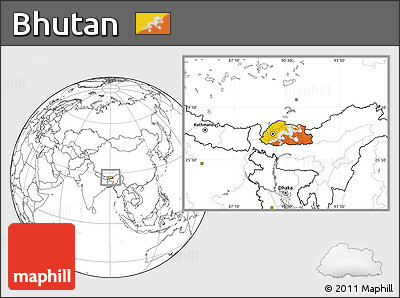 Currently there is no information on informal TVET in the Kingdom of Bhutan. Bhutan Vocational Qualifications Framework (BQF) serves as a point of reference for all qualifications and contains information on qualifications for various local and international stakeholders. TVET Financing Formal TVET programmes offered by middle and upper secondary education level vocational education and technical training institutes are funded by the Ministry of Education and the Ministry of Labour and Human Resources. Other actors involved in financing non-formal TVET programmes include the private sector through PPP and Employee Education and Training Funds (EEFE), and other national governments. 2013: In-Country Program on Developing Generic Skills for Employment Mobility. October 7-11, 2013. 2011: Special In-Country Program on Developing Champion Leaders for Skills Development for Poverty Alleviation. August 22-25, 2011. 2011: In-Country Program on Total Quality Management for TVET. April 5-9, 2011.